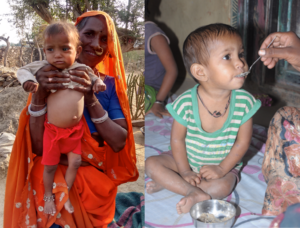 Under nutrition is probably the most wide-spread problem in Southern Rajasthan, and one of the major contributers of morbidity and mortality among the population. Phulwaris (Crèches ) were set-up in the communities to address malnutrition in children under 5 years, an age when they are the most vulnerable. The Phulwaris provide the children with a safe space while their parents work, three nutritious meals a day, and engagement in the form of play to stimulate their cognitive learning. Apart from this, they have begun emerging as wellness centres within the community, and a platform to engage with the families in matters of health and nutrition. At the clinic Ramila was diagnosed with Severe Acute Malnutrition (SAM). She was treated with antibiotics for her illness, and started on Ready-to-Use Therapeutic Foods (RUTF), an energy- and nutrient-rich food for SAM children. 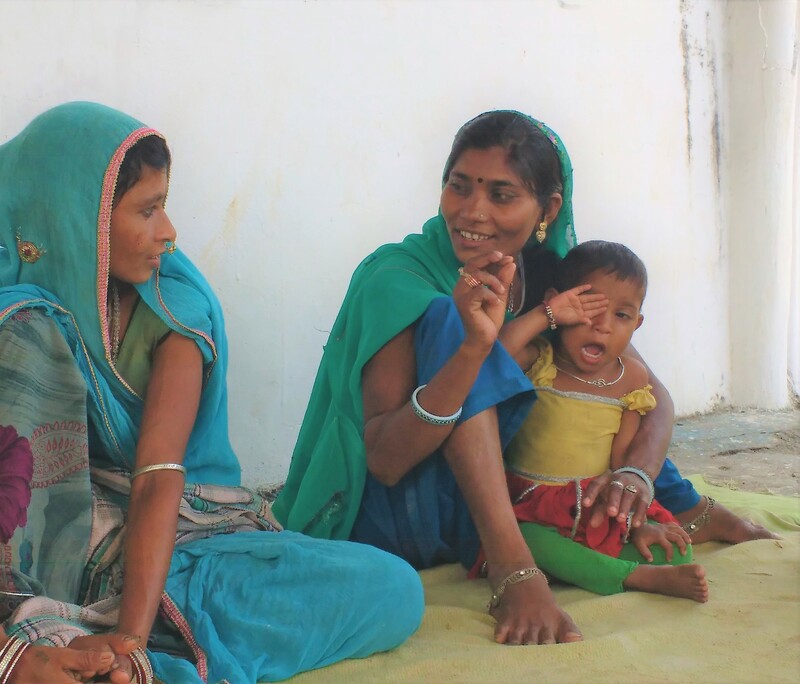 Meera was asked to bring Ramila to the clinic for a visit every week, while she continued to feed her RUTF. In her mother’s absence the phulwari workers ensured she ate wholesome meals at regular intervals. During the course of her treatment Ramila had repeated infections and was treated at AMRIT Clinic for severe anemia, pneumonia and diarrhea. Ramila is a beacon of hope to other families with children on treatment for SAM. Mother and daughter attend ‘Nutrition Day’ a peer group meet for parents of children on treatment and share their journey, motivating them to persevere through treatment.